Few people are fortunate enough to have clean, clear, sediment-free water enter their homes straight from the well or public water supply. You may be looking into water treatment for your home due to taste or a preference for soft water. Perhaps water treatment is necessary for you to avoid mineral and sediment build up, which will cause damage to your pipes and appliances. 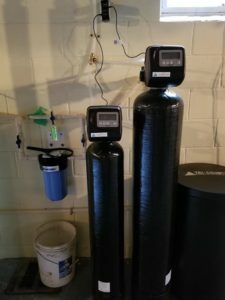 The most serious reason to investigate water treatment for your home is because you are concerned that your water is posing a health risk to you and your family. 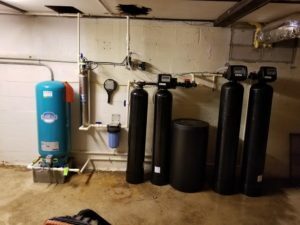 Let our knowledgeable water treatment professionals sample and test your water. We will then provide you with a full report, including a full range of water treatment options and recommended solutions. Tri-County offers a wide variety of water treatment products, services and methods. 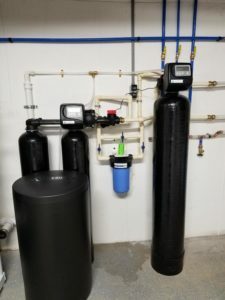 Once your water treatment equipment is in place, we provide annual service packages that allow you hassle-free maintenance of your investment in clean, healthy water. Contact our Water Treatment Service department for your FREE water consultation. Let us improve your quality of life by improving your water.